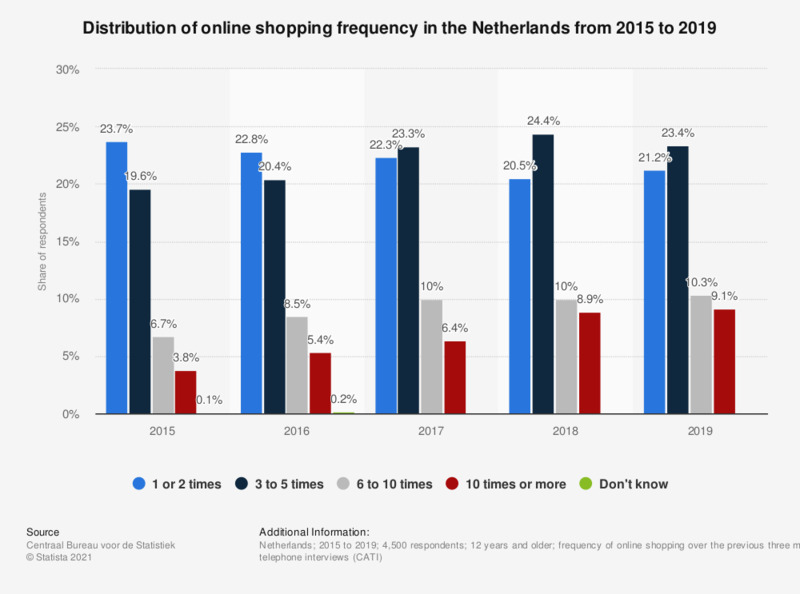 This statistic shows the distribution of online shopping frequency in the Netherlands from 2015 to 2018. As of 2018, roughly 24 percent of the recent online shoppers purchased an online service or good three to five times over the last three months. Original survey question: "How often have you purchased a good or service via internet in the last three months?"